A neuron’s molecular makeup determines which cells it connects with and how it communicates. A new analysis of seven types of inhibitory neurons suggests that patterns of gene activity reflecting these relationships can be used to determine a neuron’s identity. For neurons, identity is all about who you know and how you know them. Tweet This. Hundreds of billions of neurons connect with one another in the human brain—each one specialized for a particular role in the communication network. There are probably hundreds or maybe even thousands of specific types of neurons in the brain, displaying a bewildering array of shapes, sizes, and biological properties. New research reported September 21 in the journal Cell will help neuroscientists make sense of this astonishingly diverse range of cells. 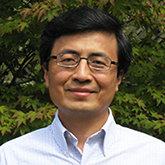 According to the study, led by 2011 Distinguished Investigator Z. Josh Huang, Ph.D., at Cold Spring Harbor Laboratory in New York, neurons’ identities can be defined by their relationships with other cells—which neurons they connect to and how they communicate. After a comprehensive analysis of genetic activity in seven varieties of inhibitory neurons, the scientists say these properties are hardwired into neurons’ molecular makeup. Neuroscientists have struggled to find a meaningful way to identify and classify types of neurons, which many consider a fundamental step toward understanding the brain’s complex circuitry. The new research provides a kind of master key for classifying cells across the brain, Huang and his co-authors say. In the new study, 2012 Young Investigator Anirban Paul, Ph.D., a senior researcher in Dr. Huang’s lab, measured the activity of each of the approximately 20,000 genes in individual cells of each of the seven types of neurons. All had a broad “family” relationship, since each is known to inhibit, or tamp down, the signals sent by “excitatory” neurons. Yet what about the activity of their genes distinguished one type from another? The team found that the activity of about 40 families of genes—out of 600 families of genes contained in the human genome—could be used to distinguish the cell types. All of these gene families have something obvious in common: all are involved in building the structures that enable neurons to communicate with other neurons. Although in the past neuroscientists have been able to group neurons according to their shapes, physiological properties, or molecular features, it has not been clear whether these were biologically relevant distinctions. The discovery of cell-defining patterns of genetic activity that reflect key differences in communication styles should bring researchers toward a more meaningful classification scheme, Huang says.